Your community will begin to develop from the day residences open in August. The direction your community takes depends largely upon your involvement, interaction with others and their interaction with you. One of the best ways to help ensure the successful growth of your community is for residents to foster an atmosphere of mutual respect for each other and for their living space. Before you act, consider the impact your behavior may have upon your fellow community members. Welcome Bearcats! Check out the Housing calendar for important residence hall dates. 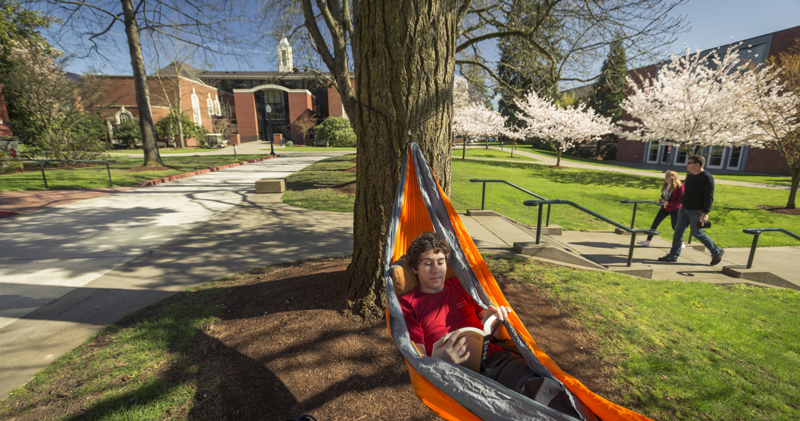 The Bearcat BnB is the student portal for Willamette University on-campus housing and dining. The Housing Selection is online this year and will take place in the BnB! Need to get from the Portland Airport (PDX) to Salem? The HUT Portland Airport Shuttle will take you from PDX to the Salem Airport. The Oregon Express Shuttle will take you from PDX to the Red Lion Hotel in Salem. Need something fixed? Mice or other pests? Place a maintenance request order via our online form and we will be in touch. Your guide to important spring semester closing information. Are you a graduate student interested in living on campus? We offer a variety of convenient options.